Not everyone is a 100% holiday cheer around the clock during the Christmas season. 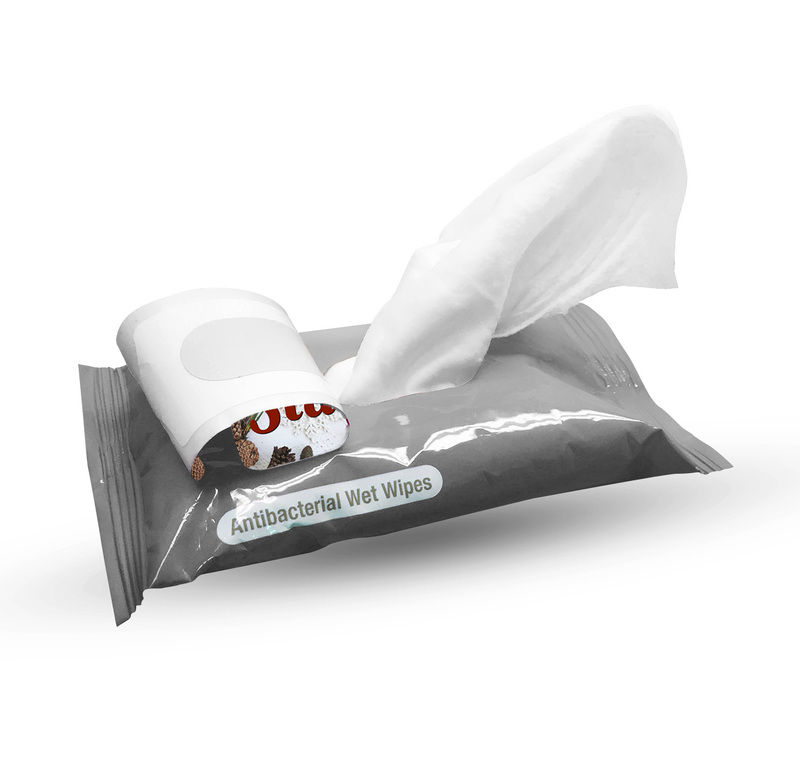 Some people get down with the funk and could use some Merry Stankmas Wet Wipes to raise their spirits. 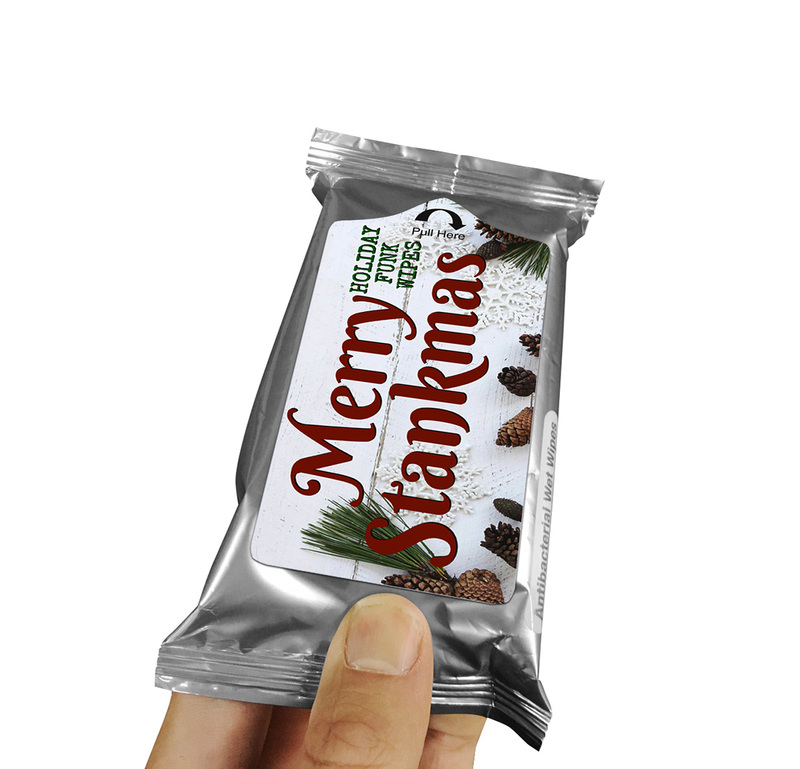 Alcohol-Free Stankmas Wipes are your first line of defense against any Christmas germs or sticky holiday residue that may linger after too much festivity. Keep a pocket pack of convenient, antibacterial wipes handy, and you’ll be prepared to kick any holiday funk out the door. 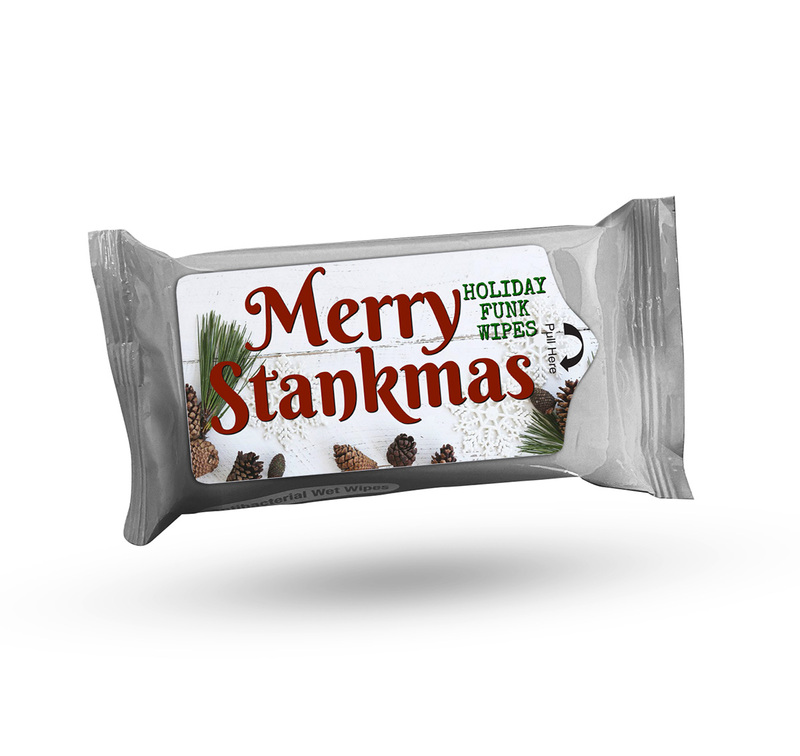 Merry Stankmas Antibacterial Wipes are perfect for friends who enjoy rubbing a little stank on – or off – the holidays. This funny Christmas gag gift for adults is a weird stocking stuffer, fun white elephant idea, Secret Santa gift, or silly addition to care packages or holiday gift baskets for guys.